I'm Jeff Passan And I Wrote The Book On Pitching Arms. Got Any Questions? 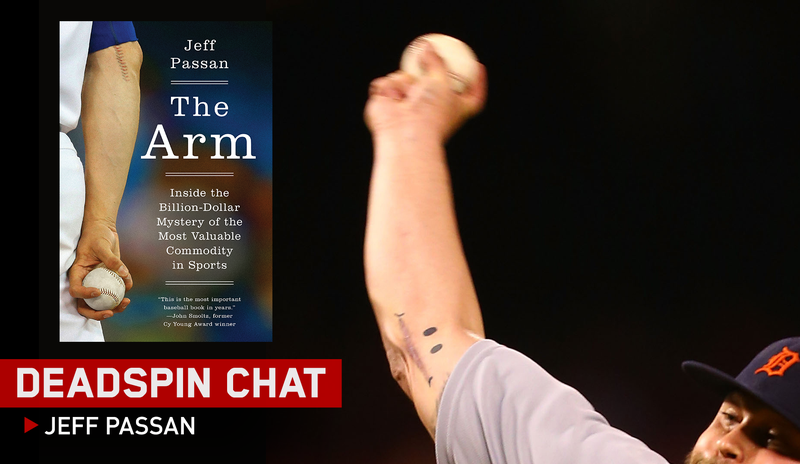 We’re joined by Yahoo baseball writer Jeff Passan, whose book, The Arm: Inside the Billion-Dollar Mystery of the Most Valuable Commodity in Sports, is out today. Read an excerpt here and hop in the comments to ask Jeff about the future of pitching, the grossness of Tommy John surgery, and how to figure out if you’re one of the 15 percent of humans born without a palmaris longus tendon. Update, 3:45 p.m.: Jeff’s done. Buy his damn book.